Going to beach in the summer can be a lot of fun, but you also have to deal with the crowds that are bound to be there. If you’re looking for a quiet vacation that allows you to get away, going during the off-season is a great option. Plus, you can save a lot of money on accommodations, which is one of the biggest expenses in a vacation budget. Here are the best beaches in North and South Carolina during the off-season. What’s great about Folly Beach, as with the other beach towns in the area, is the weather doesn’t typically get too cold. For example, even in December, temperatures typically get up to 60 during the day, though it does get down to about 38 at night. This means you can go pretty much any time of year without feeling you need to stay inside. October even sees temperatures that sit around 75 to 80 degrees. Charleston is just a 20-minute drive from Folly Beach and because it’s a year-round sort of city, you don’t have to worry about not having access to amenities. Plus, there are dolphins who live off of the coast of South Carolina year-round, so you can see them playing in the water no matter when you visit. If you’re the adventurer type, you’ll want to consider heading to Nags Head. Here you can learn to hang glide, no matter the time of year, with Kitty Hawk Kites. While the ocean might be too cold for surfing, it’s the perfect temperature for sandboarding on Jockey’s Ridge. You need a permit from the park office that is only available from October 1 to March 31. If you’re interested in fishing, head over to Jennette’s Pier. Available fish include bluefish, red drum, and rockfish. 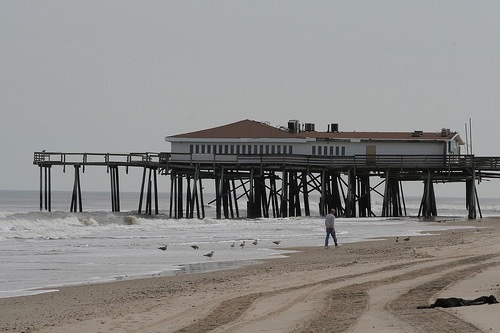 Carolina Beach has one of the best boardwalks in the country, and every year, it draws thousands of visitors to the city. You can skip the crowds by planning a vacation during the off season. Head over to the Carolina Beach State Park and take a tour with a park ranger who leads visitors on the trail Biological Wonderland, where you can see Venus flytraps. The North Carolina Aquarium in Fort Fisher, just 4 miles away, was named one of the best aquariums in the country by Travel Channel. It’s open from 9 a.m. to 5 p.m. daily, even in the winter. If you’d like to get in the water, plan to head here in September or October. The water is still warm at around 70 degrees, though it is cooler than a pool. Despite the fact that some stores and restaurants are closed during the off-season, many are still open, and you’ll find that it’s easier to get service during months outside of summer. 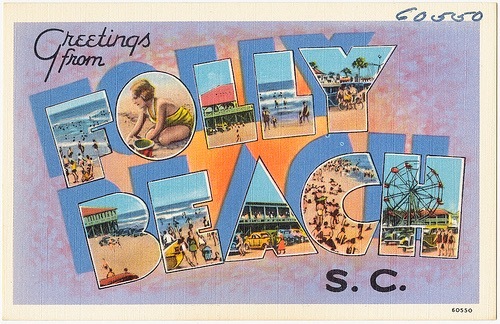 Check out the Carolina Beach hotels in the area from HotelPlanner to find the best off-season deals. With so many benefits to coming to the beach in the off season, from fewer crowds to cheaper accommodations, it’s easy to see why it’s a great time to visit the coast. Welcome to Reliant Travel Online.com! We're your one-stop shop for all things travel information!